Prime Minister Pushpa Kamal Dahal on November 15th had directed the Minister for Agriculture Development, Gauri Shankar Chaudhary, to develop ‘super zones’ in the seven federal provinces within 45 days of the directive in order to increase agriculture productivity. This is encouraging news for farmers and agriculturists. 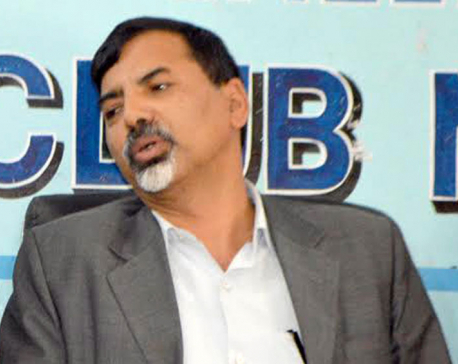 In line with this year’s budget speech, he has floated the proposal of super zones for paddy production in Jhapa, fish in Bara, potato in Kavrepalanchok, vegetables in Kaski, maize in Dang, apple in Jumla and wheat in Kailali. The prime minister also pledged to form a ‘Peasant Commission’ to increase production, to manage barren land for cultivation and to modernize agriculture sector. Offices have already been established in each of the seven provinces to implement this project. This is another welcome move. Agriculture development is a multi-dimensional initiative and calls for consolidated effort of all stakeholders. Thus the prime minister should also have invited other key stakeholders and accommodated their concerns before directing the agriculture minister to implement the project. Agriculture development is not possible without their active participation. Identifying super zones alone does not ensure all concerned organizations will support the project. Often, differences surface among organizations during program formulation and implementation. It is therefore necessary to understand past organizational weaknesses and develop all-round coordination so that all stakeholders own the super zone concept. We can learn from the failure of the Agriculture Prospective Plan (APP). It failed because of limited support from other stakeholders, in terms of resource sharing and policy implementation. APP ownership was weak as leading stakeholders of agricultural sector were not actively involved. Nepal has in the past had many comprehensive policies for agriculture development. The 20-year APP was one. Its focus was both infrastructure and technical issues—provision of irrigation, roads, fertilizer and technology development, as well as the development of agribusinesses. The National Agricultural Policy (NAP) had emphasized commercialization of agriculture with the involvement of private sector and cooperatives, and added the concept of sustainability through the conservation of natural resources and biodiversity. Despite this, agricultural growth in Nepal has not only slowed to about three percent, but has also been highly volatile. Nepal’s youth, its most productive labor force, have looked for jobs elsewhere because of weak implementation of good policies. We now have the Agriculture Development Strategy (ADS), which is expected to guide the agricultural sector over the next 20 years. The ADS encompasses not only production sectors (crops, livestock and forestry) but also the processing sector, trade and other services (storage, transportation and logistics, finance, marketing, research, extension). This complex nature of agricultural enterprises calls for a nuanced approach in the strategy’s implementation. I do not find much difference between the new super zone project and the old Block Production Program (BPP), in terms of areas covered and commodities identified. Both have their roots in the concept of ‘Green Revolution technology development’. According to it, production and productivity can be increased when production practices are integrated and concentrated in contiguous agricultural areas called “blocks”. The proposed ‘super zones’ and ‘pockets’ for this fiscal also borrow from the old APP’s pocket-package strategy. More than 2,000 pocket areas had been established for different crops during the APP implementation phase. The APP also recognized partner NGOs as Private Service Providers (PSPs) in commercial production and marketing of high value crops in pocket areas by working with farmer groups. The success of these pockets rests on the integrated use of seeds, fertilizer, irrigation and management practices. Besides, hindering the super zone project’s progress will be the paucity of capital and infrastructure. If these issues are addressed, many of these pockets can be upgraded into zone and super zones. Our public service delivery system lacks strong coordination. The two departments of agriculture and livestock services are primarily responsible for service delivery to farmers. The irrigation department, meanwhile, works autonomously. 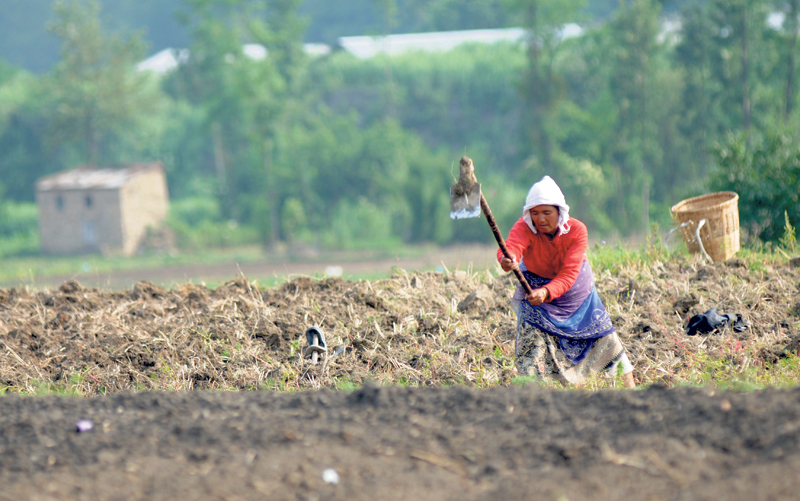 Similarly, land reform programs are implemented without any coordination with the Ministry of Agriculture Development. In fact, concerned ministries and departments are functioning under different umbrellas, making coordination and linkage difficult. Many institutions will be interested in the development of super zones if the government can coordinate with them. The role of the Ministry of Finance will be crucial. Development partners including donor agencies and private agencies can also contribute to this project. Then we have the cooperatives that can provide technical services, and marketing and credit facilities. The roles of local governments will also be vital. Coordination among these stakeholders—from grassroots to the center—is essential for the success of these super zone programs. The prime minister should ask all stakeholders at the central level to come up with common programs for the proposed super zones. Only then can we expect meaningful results. 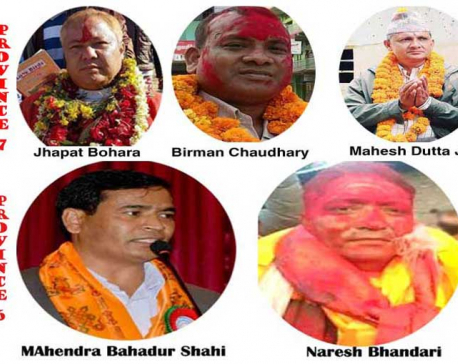 Who are potential candidates for CM in Province 6 and 7?